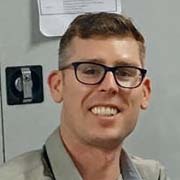 Doctor Mike Galvin from Limerick, Ireland, works for MSF as an emergency doctor in Mosul, Iraq. He blogs about a day in his work at the hospital. Today was a busy day here at the hospital in Mosul, Iraq. After our handover from the night doctors, we were immediately called into action. Omar, a 14-day-old boy was brought in with breathing problems. His parents were frantic. We quickly realised his heart rate was slow and his breathing was laboured from hypothermia. It’s freezing outside, and his family were trying to heat their war-damaged home with a kerosene heater. But fuel is expensive here, so they struggled to keep the house at a comfortable temperature. Blankets and clothing were not enough to keep their new son warm. We provided him with oxygen, corrected his heart rate with medications, and supplemented his blood glucose which dropped dangerously low due to stress. After half an hour he started to improve, so we admitted him to our paediatric ward for ongoing care. The west side of Mosul where I am working, was the area worst affected by the battle to retake the city from the Islamic State group last year. The health needs are huge. Most health facilities and public hospitals were destroyed, leaving a void in emergency, paediatric, mental health and maternity care. That’s why MSF is here. MSF Nablus hospital in Mosul, Iraq. 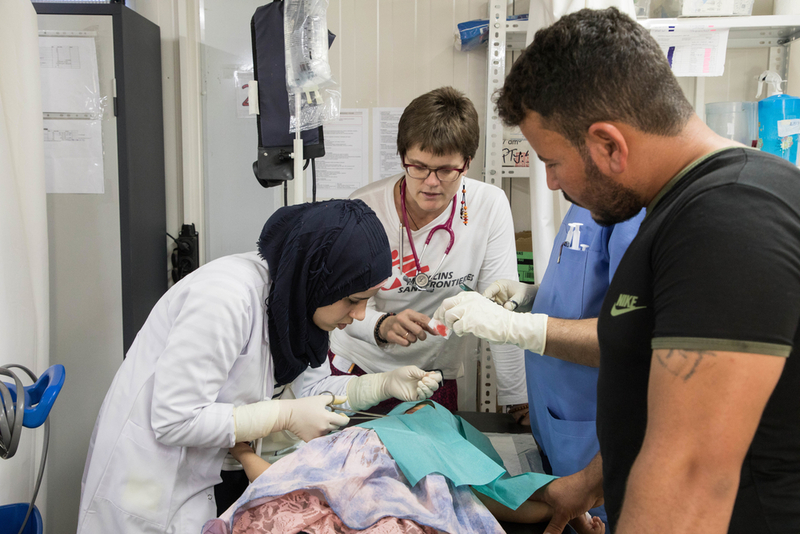 My job is to work with my Iraqi colleagues to help provide high quality acute medical care for children and adults in the emergency room of our hospital. 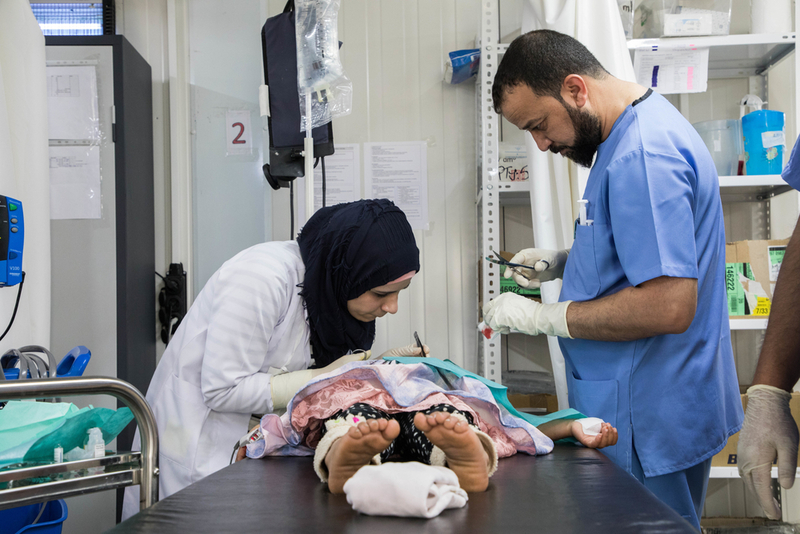 As well as caring for patients, we’re focusing on training the local staff as Mosul recovers from the conflict in the hope that our facility will continue to serve the surrounding community long after we are gone. It’s busy work. Back in the emergency room, the patients were still coming thick and fast. We saw Sara, a 14-year-old girl whose headaches and seizures were being caused by a small bleed in her brain coming from a ruptured congenital aneurysm (weak artery walls). Then Mahmoud, a 64-year-old man whose recent heart attack resulted in severe fluid overload in his lungs and dangerously fast rhythms in his heart. After him, Fatimah, a 20-year-old woman with an ectopic pregnancy that caused internal bleeding. Then Mustafa, the 19-year-old kebab shop worker who was impaled in the abdomen and needed emergency surgery to stop the bleeding; and after him Manhel, a 5-day-old infant who was septic from unhygienic home birth conditions. So many names, so many faces, so many needs. It’s hard, challenging and fulfilling work. But I was relieved when the rush ended. At the end of the day, I saw my favourite patient, Maryam, a bright and charming 12-year-old girl who always makes us smile in the ER during her frequent visits for diabetes treatment. Her family have trouble sourcing and storing good-quality insulin, so she often bounces back with high sugar levels. We’re working on a strategy to get her a better supply of insulin to prevent this. Although I’ll be happy when we can control her disease, we will all be sad to miss out on her weekly visits. Her phone is full of photos of her posing with the doctors and nurses, curious about these strangers who lavish her with attention. It’s tough seeing a city, formerly renowned in the Middle East for high quality medical training, reduced to temporary structures offering medical care in the disused car parks of bombed-out hospitals. But every day I’m filled with admiration for the resilience of the people here, who by their strong sense of community and pride in themselves, are rebuilding this city that they love. I’m grateful for the opportunity to meet these survivors, to live and work in their city, and to make a small but positive impact on their lives.